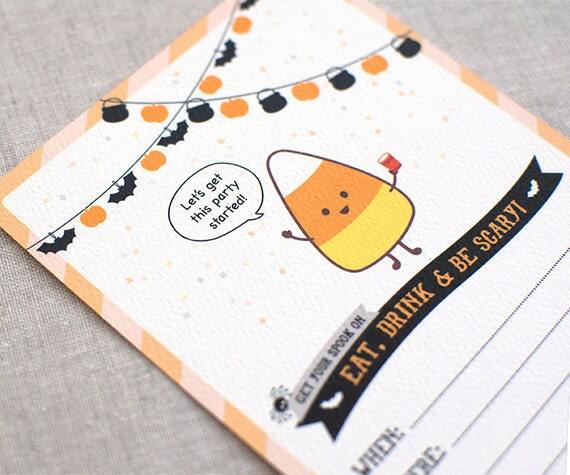 Handcrafted set of Halloween Invitations featuring my own original candy corn artwork with easy fill-in format. Set of 12 or 16. Printed on recycled textured 100% post consumer cardstock, comes with envelopes as well. Adorable for Halloween!